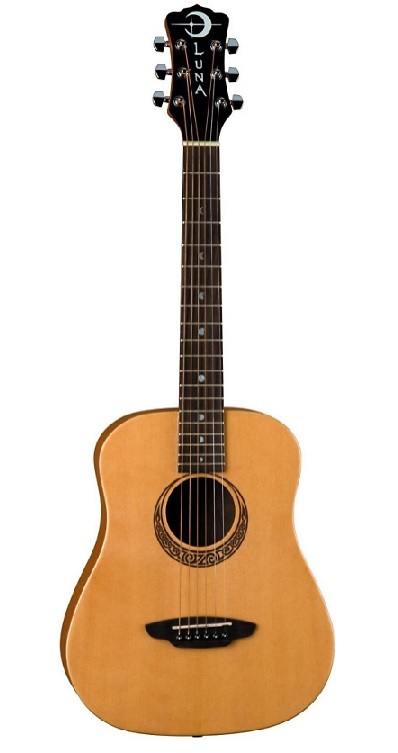 Ever since the origins of the modern guitar in the 18th century, the instrument has been available in various sizes. Antonio d Torres gave the modern classical guitar its form as we know it today. 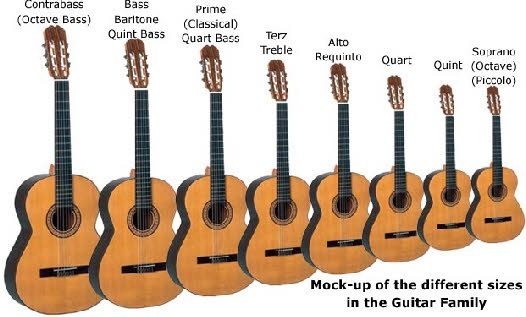 The modern classical guitar has a scale of 648 to 650 mm, which is roughly 26 inches. Full size electric guitars have a slightly shorter scale. Most Fender instruments are 25 1/2” while Gibson has maintained the 24 1/2” scale. Classic guitar builders have offered guitars that are 1/4 sized, 1/2 sized, 3/4 sized, and full size for players of different ages and differing physiques. In the 1930’s C.F. 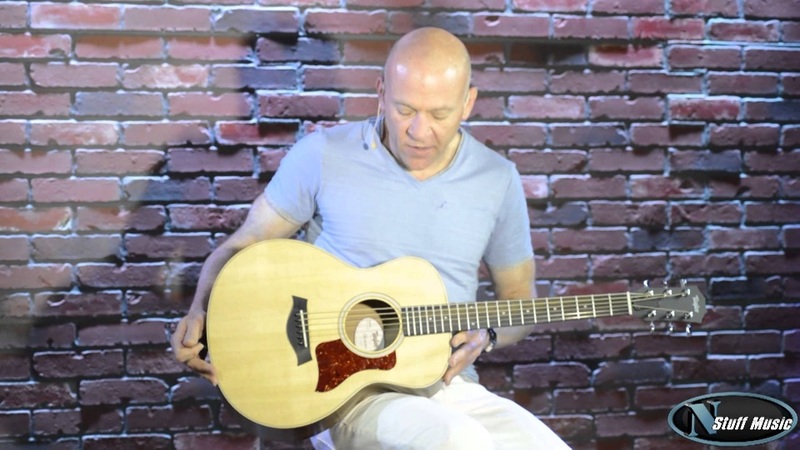 Martin introduced the Terz guitar. 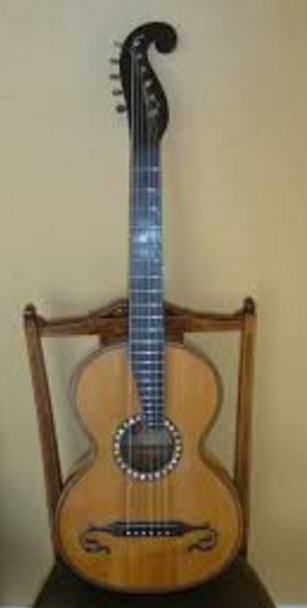 It was based on the size of the Terz or Treble classical guitar. Joseph Stauffer, from whom C.F. 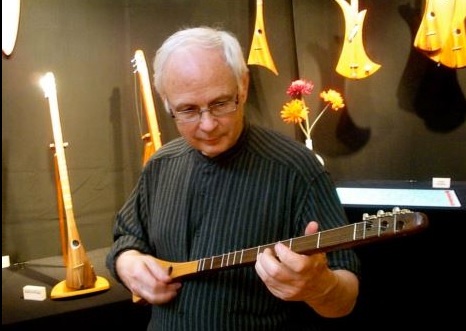 Martin senior learned his craft, had built Terz guitars. So it would stand to reason Martin would continue the tradition. 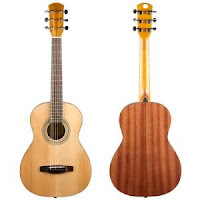 The Martin Terz was a 3/4 scale guitar and offered in different styles. The 5-18 was probably the most popular. Marty Robbins used his on stage. This guitar was designed to be tuned three frets above standard pitch. 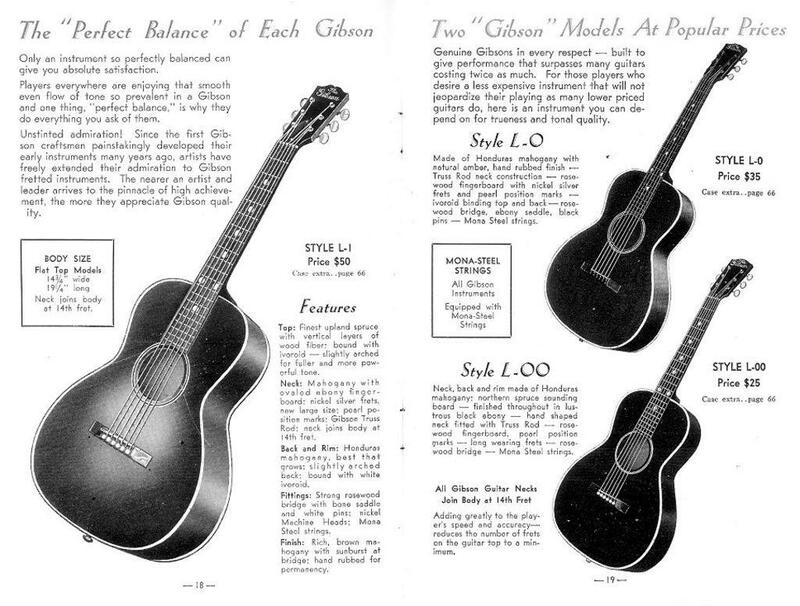 In 1932 Gibson introduce the L-00 Flat top guitar. This was a small bodied instrument, and one of the nicer versions of the L series. By 1937, Gibson offered this model in a 3/4 sized option. 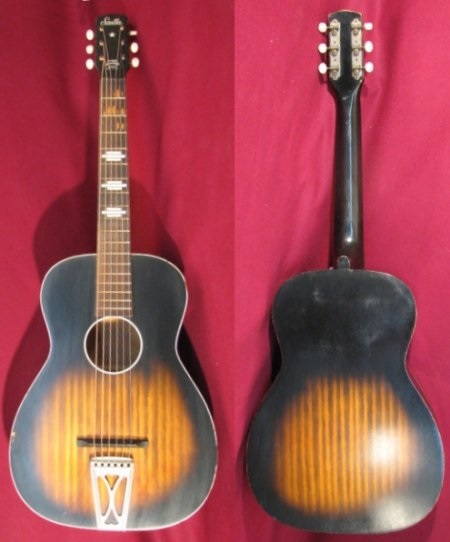 In 1933 Gibson had also introduced the very fancy LC model in a 3/4 sized version. 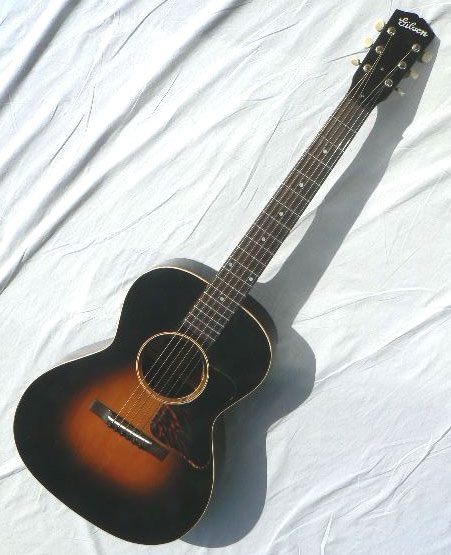 In 1942 Gibson offered the LG-2 and by 1949 it was available in a 3/4 size version. This is the guitar that Arlo Guthrie favors. 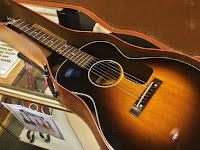 In 2002 Gibson decided to reintroduce this very model when Arlo Guthrie contacted Gibson’s craftsmen to ask for help In reconstructing a guitar that his father Woody had given him as a present. 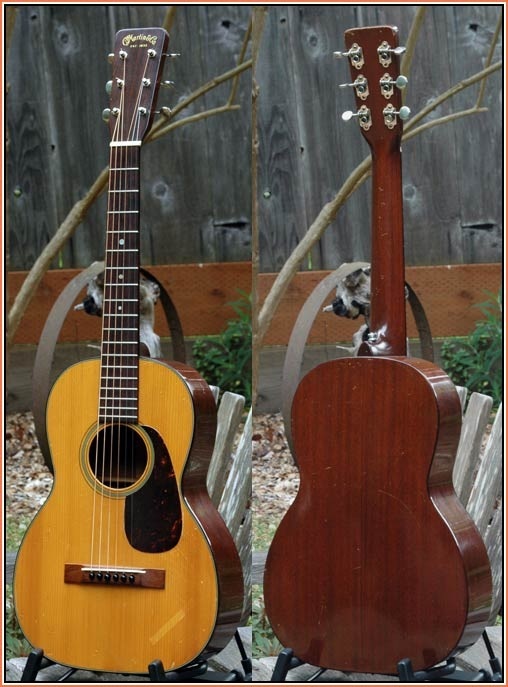 After painstakingly rebuilding the instrument, Gibson decided to offer the same guitar to the public as the Arlo Guthrie LG-2 3/4. This list price was $2079, but they are available for much less. Back in 1945, following the World War II, Harmony guitars of Chicago was back in business and reintroduced The Stella guitar. Stella had been a brand offered as far back as 1899 by the Oscar Schmidt Company. When the company went bankrupt in the 1930’s, Harmony guitars stepped in a acquired their assets. The 3/4 sized Stella H929 was in the line up from 1945 through 1970 and was popular as a student model. 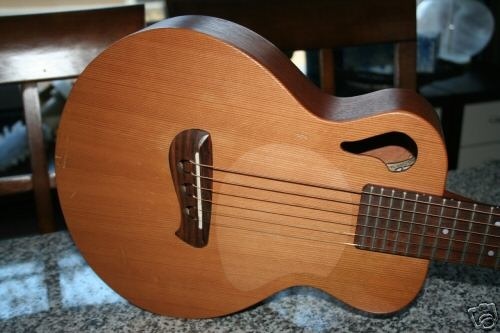 The guitar was made mainly from birch and used all solid woods. It was ladder braced. Despite being 3/4 sized, it still had a 24 1/2” scale. Bob Taylor was working for a small guitar manufacturing business in 1972 when he was only 18 years old. Within two years, Bob, and co-workers Kurt Listig, and Steve Schemmer bought the company. They needed a brand name to put on the guitars. Schemmer Guitars and Listig Guitar did not seem to sound as marketable as Taylor Guitars. So Taylor Guitar it was. 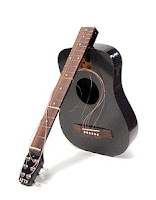 None of the men had studied Martin’s guitar making techniques, so their ideas were fresh and had a new approach. By 1983 Taylor and Listig bought out Schemmer’s stake in the company. 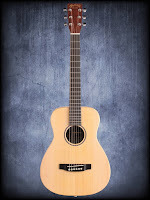 Back in 1996, at a time when most of us were interesting only in dreadnought sized guitars, the Baby Taylor made its debut and starts a new trend in guitar manufacturing. 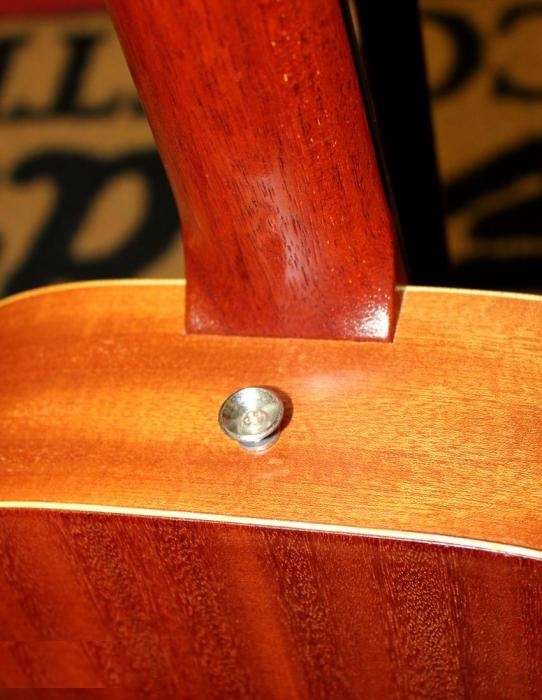 Taylor Guitars had already come up with an interesting concept in its bolt-on neck, which utilized precision cut spacers and bolts to attach the neck to the guitars body, which made neck adjustments quick and painless and this same process was applied to the Baby Taylor. 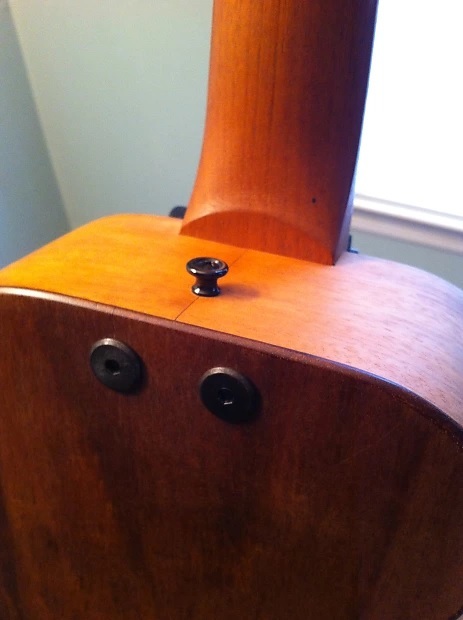 The instruments heelless neck attaches to the guitars body by means of two screws that are flush with the fretboard and located between the 15th and 16th fret. The guitars back and sides are made of 3 layers of laminated sapele wood and the instruments back is slightly arched. 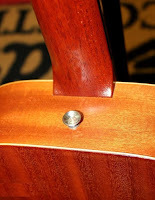 Other guitar companies, such as Guild, Framus, and Gibson, have used this same method of arching the back through heated pressing for strength, so the back requires no internal back bracing. 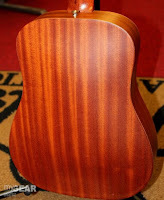 The guitars top is made of solid Sitka spruce. Black matte veneer covers the headstock that bears the decal with the Taylor logo. The guitar comes with its own gig bag. The Baby Taylor has a 22 3/4” scale on its diminutive 15 3/4” by 12 1/2” body. The guitar was an instant hit and notice was taken by many other guitar manufacturers. 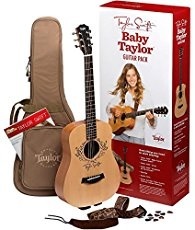 The first year offered the Baby Taylor sold over 1,000 units. Sales of the tiny guitar increased from there. 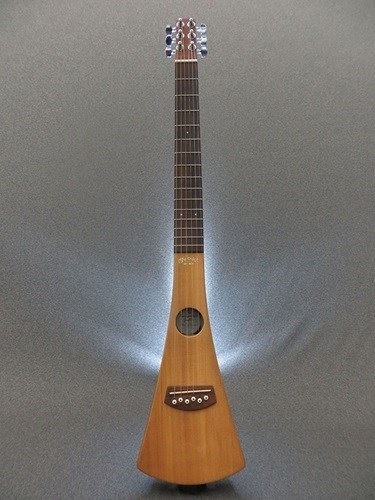 Martin guitars offered the Backpacker around 1993. 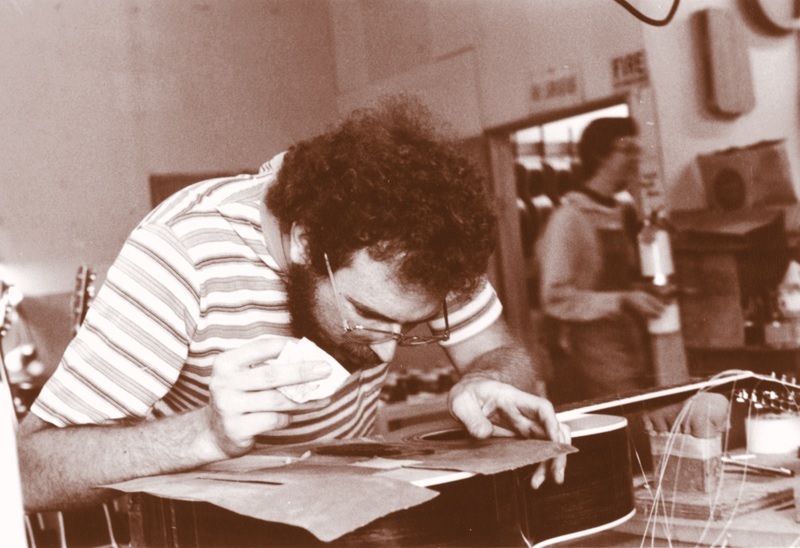 Chris Martin IV had visited luthier Robert McNally’s booth at the 1993 NAMM convention where the luthier was displaying his 3 string Strumstick. 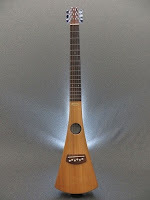 The original instrument was based on the mountain lap dulcimer, but was meant to be played like a guitar. A deal was struck up at this show for 5,000 units to be made. The neck was changed to a six string guitar design and it was dubbed The Backpacker. Although the guitar did not have the greatest tone or volume, its compact size, and durability made it successful. 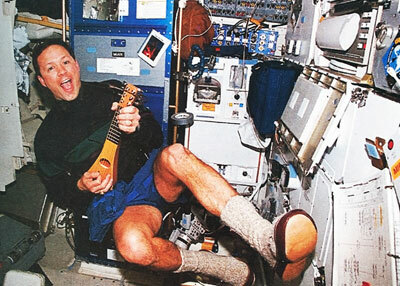 The Backpacker was even taken into outer space by one of the astronauts. The design changed in 2002 when the instruments body was enlarged to enhance the tone and make the instrument easier to hold. 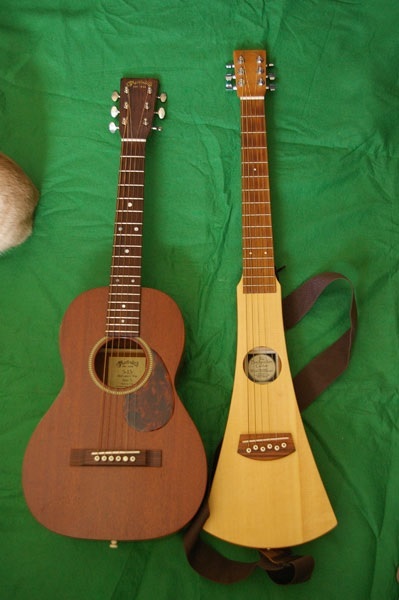 Martin has also offered this same instrument with nylon strings, and a mandolin, and ukulele version. 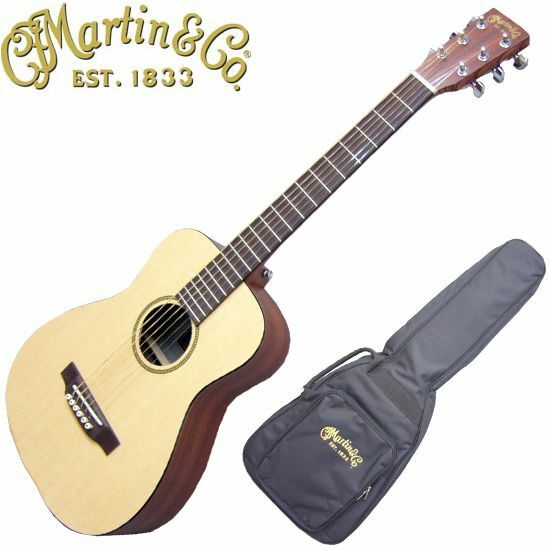 In 2003 Martin took the concept of a small guitar a step further a with the introduction of the Martin LXM. The LXM or Little Martin is designed as a modified 0-14 fret tenor Martin shape. The scale is 23’ in length. The entire guitar is constructed of high-pressure-laminate or HPL, which is essentially the same process used for making Formica. 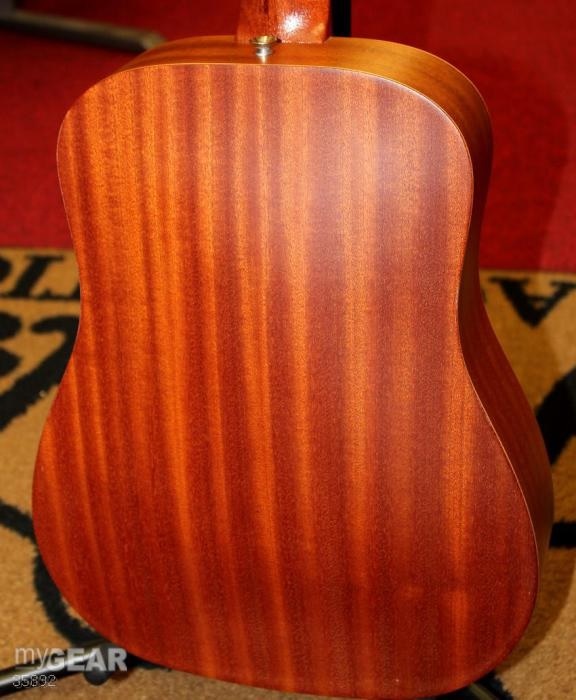 The neck on the Little Martin is made of Rust birch laminate. 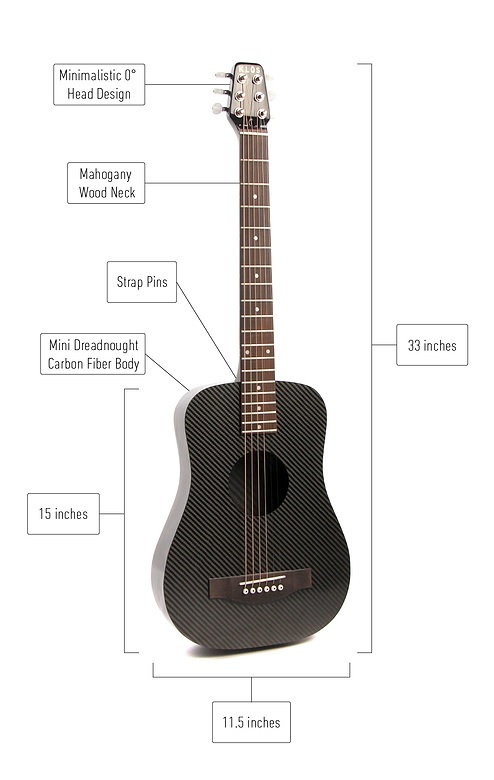 The fretboard is constructed of black Micarta, while the nut is made of white Corian. The saddle is made of white Tusq. The tuners are made by Gotoh. The original version was only offered as an acoustic instrument. Later on the LXME came with Fishman transducers and Mini Q electronics. The LXM models all come with a gig bag. 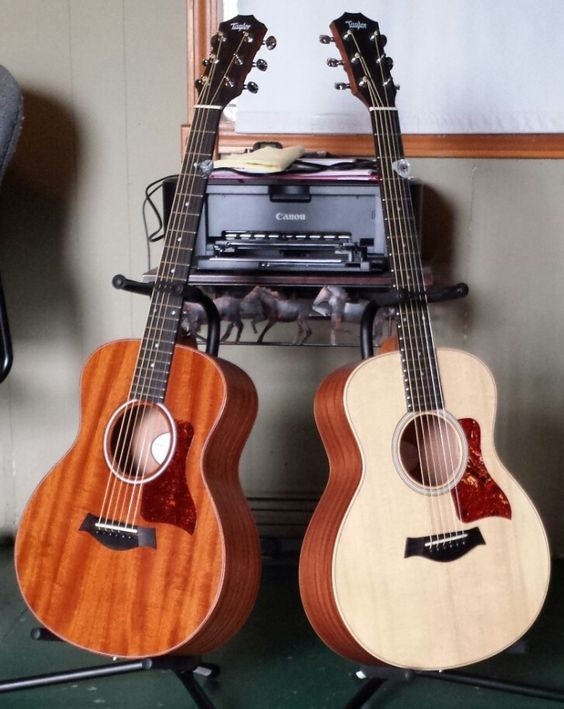 The Martin LX1 is the same style of guitar, but it has a solid Sitka spruce top. 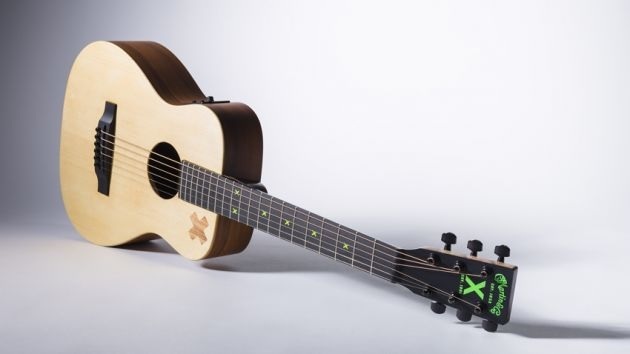 Ed Sheeran began his busking career using a Little Martin and Martin guitars offers the Ed Sheeran X signature series LX size guitar with built-in Fishman Isys T electronics. 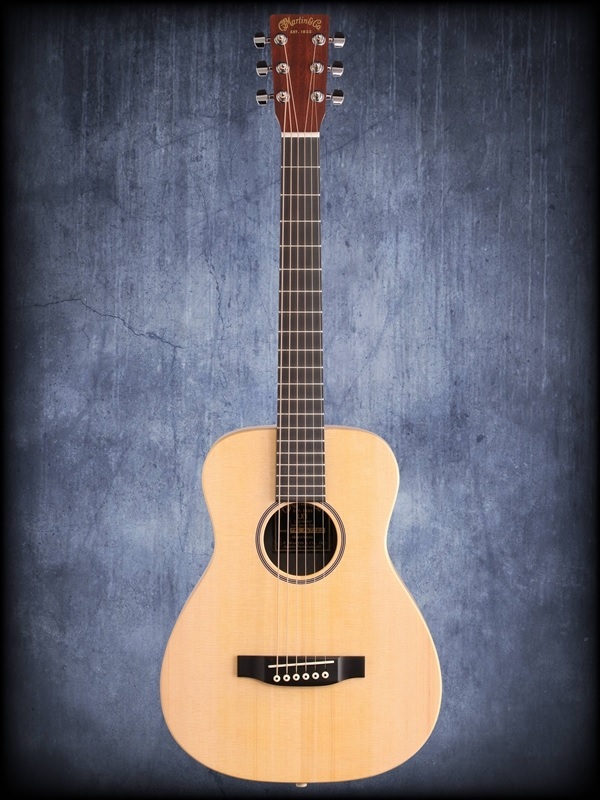 Martin also makes the LX1e electric acoustic models, which feature a solid spruce top. In July of 2013 Taylor Guitars introduced the GS Mini guitar. 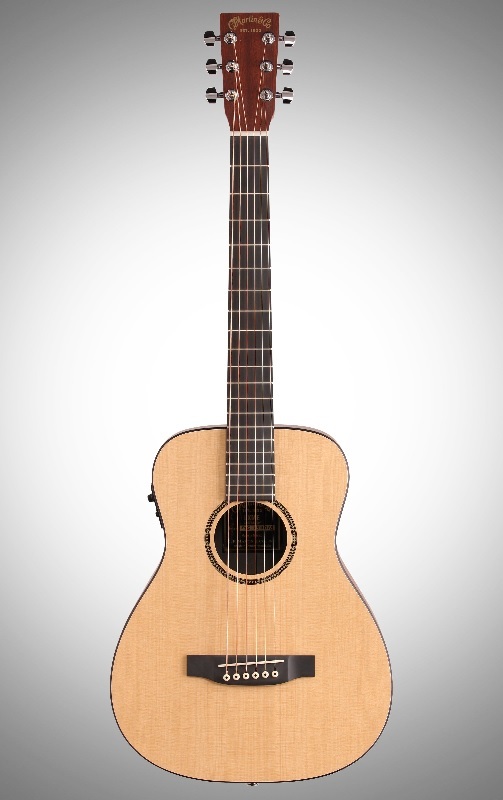 After experimenting with changes to the Baby Taylor, a new design, the Grand Symphony, was decided on. The GS has a different body shape and different bracing. The top is made of solid Sitka spruce and the back and sides are sapele laminate. The body is approximately 2” larger than the Baby Taylor. The scale is 23 1/2”, and the body is an inch deeper than the Baby Taylor. Once again, it features the arched back design. The neck on this model, although a bolt-on featuring Taylor’s NT design, does have a heel. The action is low and feels quite good. 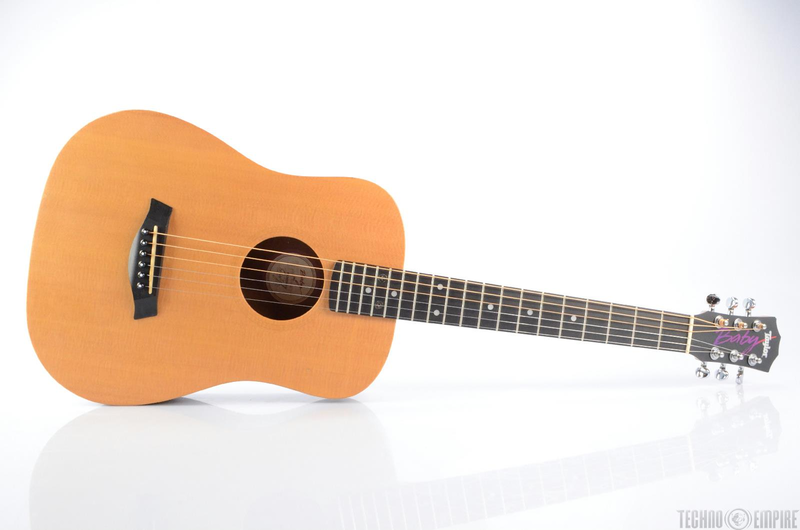 The original models were only offered as acoustic guitars, but could be equipped with the optional ES-Go acoustic pickup. This unit is built exclusively for the GS Mini guitar. The ES-Go is stacked humbucking magnetic pickup which clips onto a bracket in the sound hole that is underneath the fretboard section. Once in place, the player swaps out the end pin and replace it with the one attached to the ES-Go unit. It is made to be paired with Taylor’s “V” cable, which has a volume control. The unit sells for an additional $100. 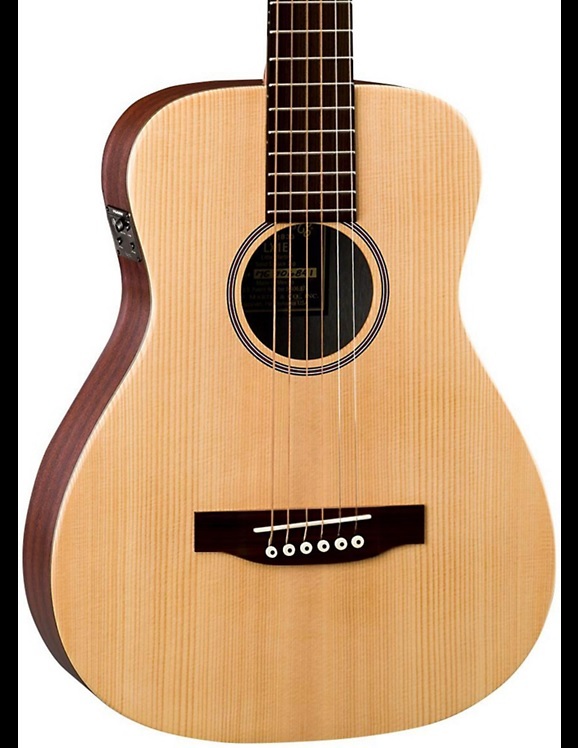 Since its inception, Taylor has improved this guitar, by offering it with optional body woods, such as a mahogany top or spruce top with laminated walnut back and sides. The electronics have also been updated. 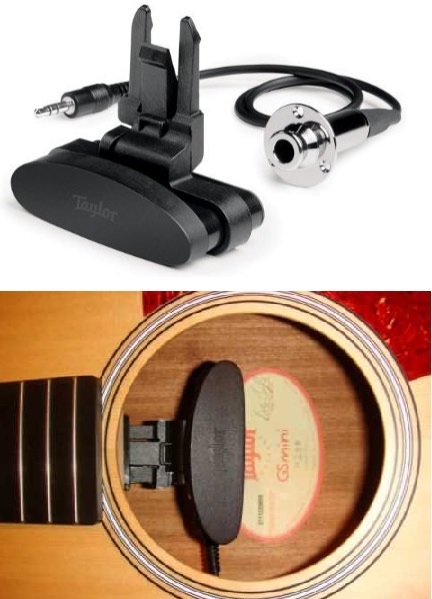 The Taylor GS mini e is now is available with a built-in Taylor Expression System 2 electronics, which places 3 pickup sensors behind the guitars bridge. Taylor feels this is superior to under the under the saddle method that many designers have used. This also comes with a built-in preamp. This option adds $100 to the guitars price, but eliminates the need for putting on or removing the ES-Go unit. 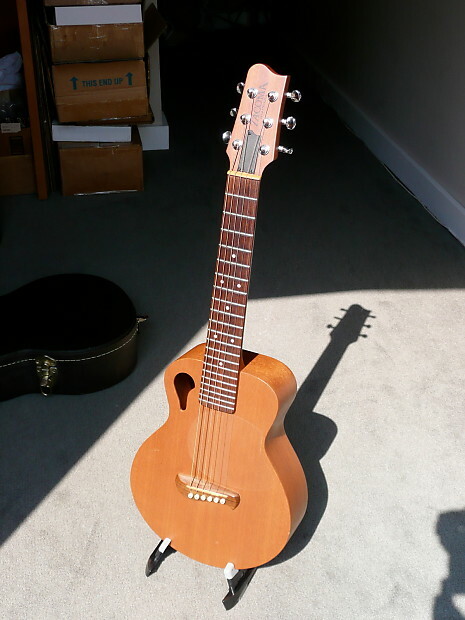 Back in 1997, just a year after Bob Taylor introduced the Baby Taylor, Tacoma Guitars of Seattle Washington introduced The Papoose mini guitar. Tacoma Guitars was a division of The Tacoma Lumber Company. In 1991 this company was processing hardwood that was milled into piano soundboards exclusively for the Young Chang Piano Company of South Korea. 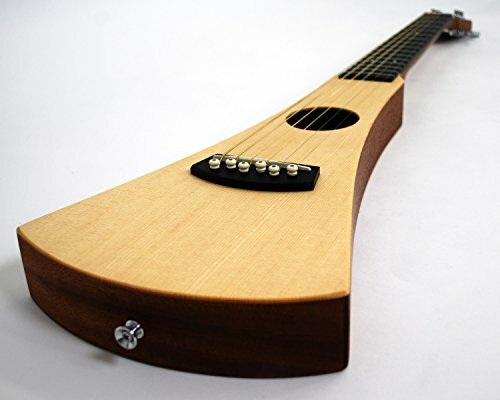 The lumber company's general manager, J.C. Kim persuaded Young Change to build a guitar manufacturing plant nearby, and the company started turning out some rather unique instruments. Among these was the tiny P1 Papoose guitar that was designed by luthier Terry Atkins and George Gruhn. The Tacoma P1 Papoose had a short scale neck with only a 19.1” scale, and it was built to be tuned a fourth higher that normal guitar tuning. In other words, the strings were tuned from A to A. 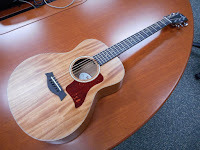 This guitar introduced the Paisley sound hole, which became a Tacoma trademark, and the Voiced Bracing Support system. This was a system designed to minimize the bracing as much as possible down to what the instrument needs to remain stable. The heelless neck on the Papoose was bolted on and secured by two screws. The bridge was uniquely shaped and had 3 unusual C-shaped cut-outs to secure the strings. Some later models came with bridge pins. The Papoose was available in a variety of sound board woods. Tacoma also came out with the P112 Papoose 12 string. Towards the end of the line, Tacoma had introduced and electric version of The Papoose. Young Chang put the company up for sale in 1999 and it was sold to Fender Musical Instruments Corporation in 2004. Sadly in 2008 Fender closed the plant and laid off the staff. Though the Papoose is no longer produced, it can still be found on auction sites at a fairly reasonable rate. Since the Baby Taylor and the Little Martin have proved to be successful, many major guitar manufacturers, too numerous to mention, have developed and offer 3/4 sized mini acoustic guitars in their line up. Among them Dean Guitars offers the Dean Flight that retails for around $150 USD. It is a laminated guitar with a 22” scale. The neck is mahogany, and the headstock is done in the Dean-wing style. It comes with a gig bag. Fender offers the MA-1 Parlor 3/4 size guitar. The top is laminated Agathis and the back and sides are laminated Sapele. 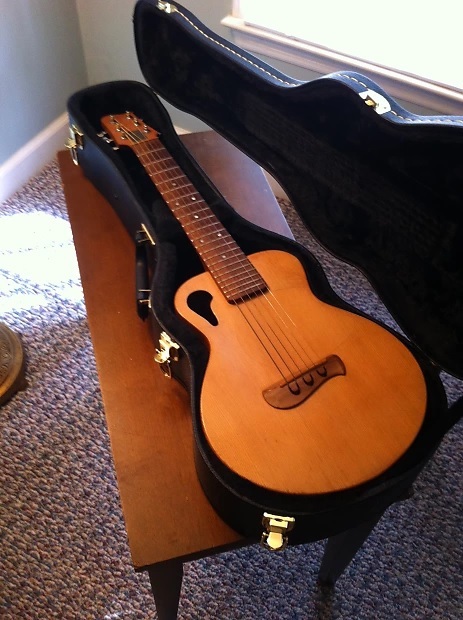 As with most of the mini acoustic guitars a gig bag is included. 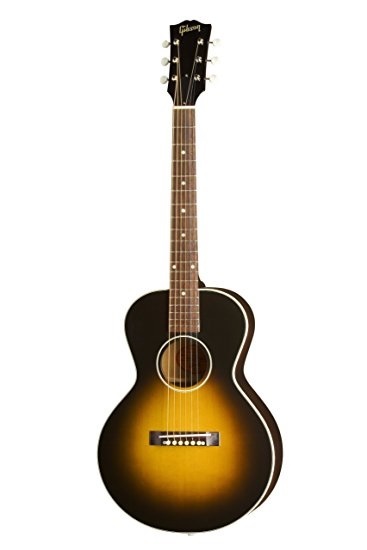 Yamaha’s product is the JR1 Mini Folk. 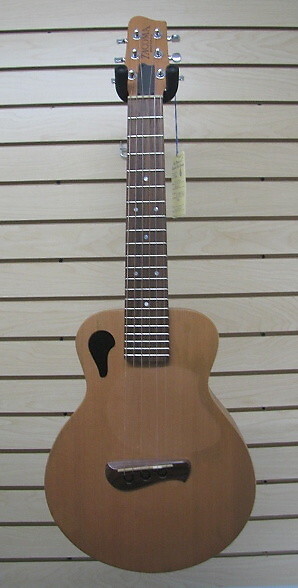 Luna Guitars offers a similar 3/4 sized guitar called the Muse Safari guitar. 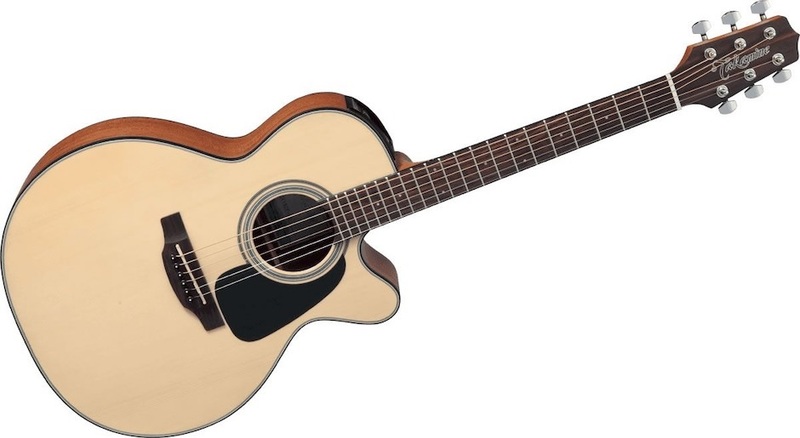 Takamine has the GX18CE-NS, which retails around $400, but it does have a solid spruce top, rosewood fretboard and electronics with a built-in preamp. 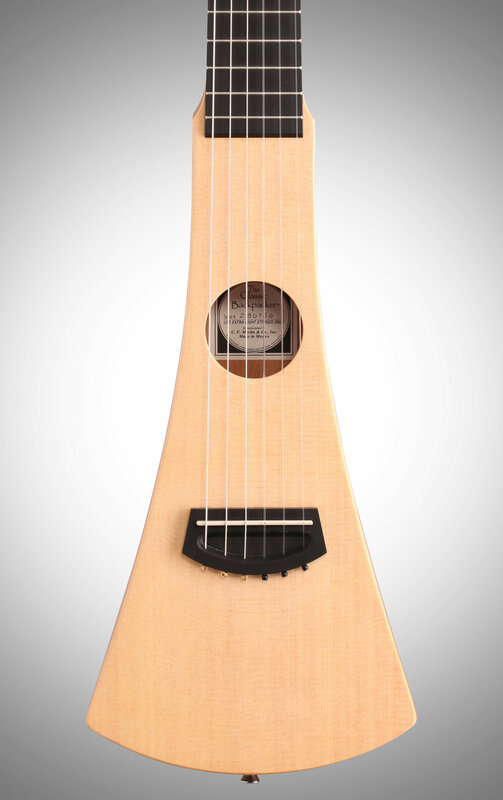 One of the more unique mini guitars comes from a company called Klos. Their instrument has a carbon fiber body. The neck is made of mahogany and topped with a rosewood fretboard. Despite being small in size, the scale is 24 3/4”. Plus the neck is removable. 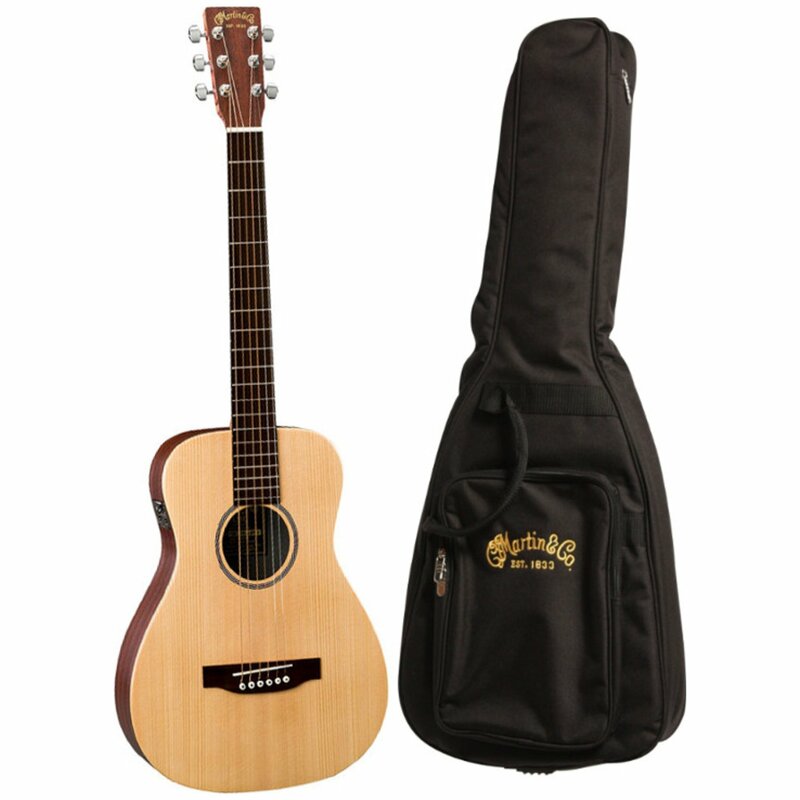 It comes with a gig bag and sell direct from the manufacturer for around $600 USD. Great post! I didn't have an idea that there is so much behind simple guitars. It has added to my knowledge. The clips you have shared are of value thank you for sharing.